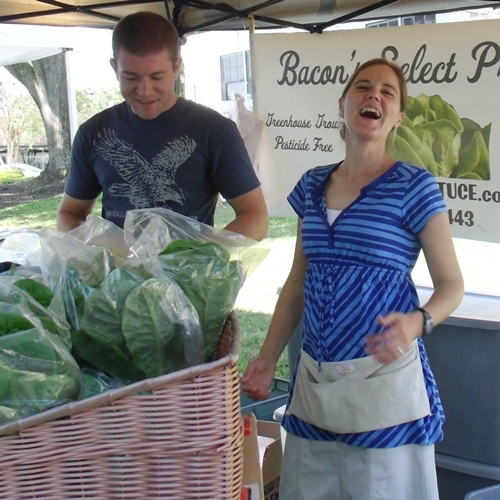 Every Saturday, from 9:00 AM to 1:00 PM, you can find Freddie and Heather Bacon at the Fernandina Beach Market Place. 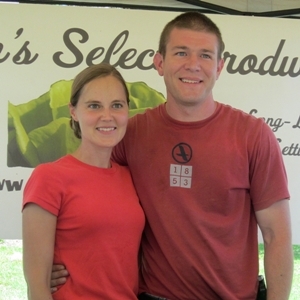 They represent half of Bacon’s Select Produce, a family farm located in North Jacksonville, Florida. Freddie’s parents, Fred and Sharon Bacon, make up the other half of the team. 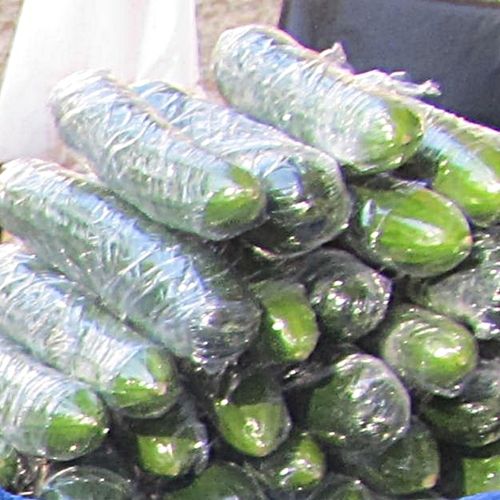 The Bacon Farm is focused on providing fresh, pesticide-free produce. The Bacons’ do no reselling, so everything you find on their table has been grown by them. From specialty lettuces to sweet bell peppers, cucumbers, kale and herbs, all produce is grown hydroponically in greenhouses. 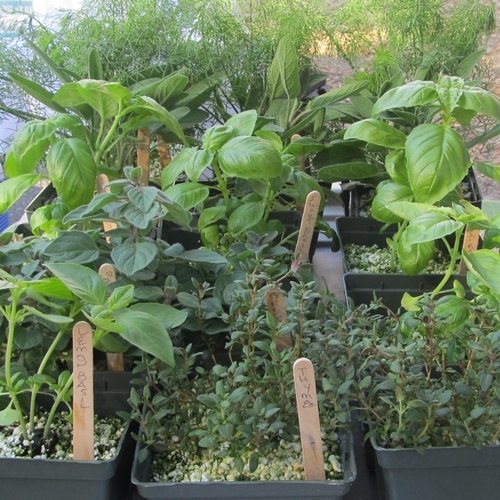 Currently, the farm operates with three greenhouses. 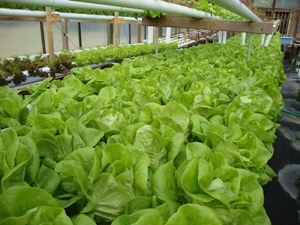 This type of farming allows for the control of the plant’s environment and eliminates the use of pesticides and herbicides. 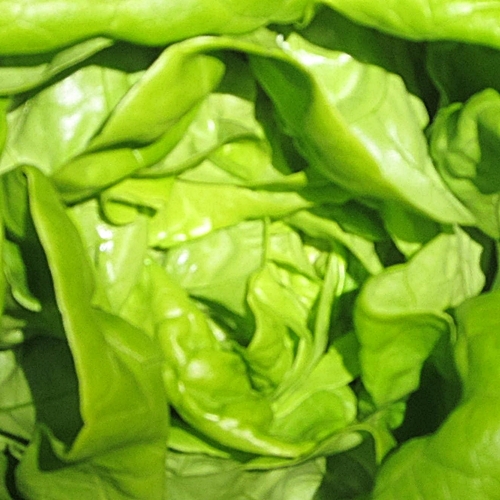 In the case of lettuces, the hydroponic growing method permits the harvest of the head as well as the roots, ensuring long-lasting freshness. 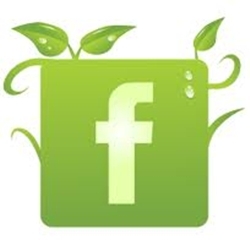 The farm is glad to accommodate businesses, neighborhoods or restaurants. 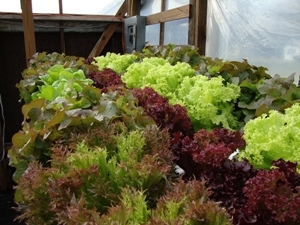 Please visit their blog at www.greatlettuce.blogspot.com.